This virtual library contains many of my favourite books, some bought, some acquired, all enjoyed. In a way, these books define who I am. You will, for example, easily deduce that I am interested in science in general and space and technology in particular. You will see that I am interested in history and in Britain and what used to be the British Empire. I am interested in the stories of individuals who have led extraordinary lives, amongst them Fitzroy Maclean, Charles Kingsford Smith, Jim Corbett and Candelaria and Hermann Zapp who drove from South America to Alaska in an 1928 Graham Paige automobile! On the lighter side, I adore the bottersnikes and gumbles, and am enchanted by the tales of Don Camillo from the Po Valley. Where possible, for your convenience I have added a link to Amazon in case you wish to purchase the book having read my comments. Is there a book you think I should read? Let me know by e-mailing me. The fascinating story of risk, how mankind has dealt with risk through the ages. We insure or are insured against so much in our lives - houses, cars, health. We buy warranties for washing machines and computers, we have pensions for our old age. Peter Bernstein tells a fascinating story from Greek times to the present, explaining why it was important to be able to quantify risk, and to take measures to minimise risk. He argues that it is in the management of risk that modern times can be distinguished from the past. Bernstein introduces us to Greek philosophers and Arabic mathematicians, to merchants and scientists, gamblers and intellects. He explains in an engaging style the concepts of probability, sampling, regression to the mean and rational versus irrational decision making. This book gives a thorough and gripping account of the story of risk. This is one of my favourite non-technology books. Billed as "inspiring tales of the entrepreneurs and inventors who revolutionised modern business", this is an excellent book containing a dozen such stories, including William Shockley's transistors, the rise of IBM and the birth of Intel. Each chapter can be read on its own, as each of these are wonderful stories in their own right. The book continues, describing the rise to stardom of the Apple Computer, cell phones and the Internet. A fascinating and very readable book for anyone interested in the technological steps that have led us to where we are today. In this insightful book, Kaku brings together the thoughts of over a hundred eminent scientists in trying to predict the next hundred years, no mean feat. In his own words, "this is a book about the limitless future of science and technology, focussing on the next 100 years and beyond." The next century is treated as three periods of time: up to the year 2020, 2020 to 2050, and 2050 to 2100. The book is arranged in three main areas, not according to time but according the three area: the computer revolution, the biomolecular revolution and the quantum revolution. It is a solid book, 400 pages in length, but the content is very accessible. Some of the short-term predictions have already come true - the merging of TV and the internet and wall-mounted displays. Kaku carries on to discuss mid-term prospects such as the eradication of cancer, and longer term areas such as insterstellar travel. This is my favourite book - the one I would rescue from a burning building! No man has had a greater influence on the World Wide Web than its inventor, Tim Berners-Lee. This book, written by the man himself, tells his story about where the Web came from and how it progressed from a small project to help scientists communicate more effectively with each other to the phenomenon that is now compared with Gutenberg's press in the way it allows knowledge to be spread. The book can be separated into two parts: the invention of the web and its protocols and its acceptance around the world, and Berners-Lee's time as the head of the World Wide Web Consortium (W3C). The first part is by far the more interesting. Dubbed "A Brief History of the Internet", this is a 350 page book which takes us from the 1960s to the end of the 1990s, telling the story of all of the major names who contributed to make the internet what it is: Doug Engelbart, JCR Licklider and Len Kleinrock from ARPA; Bob Taylor, director at ARPA and founder of Xerox PARC; the team at Bolt, Beranek & Newman who designed and implemented the machines which formed the backbone of what would become the internet; Vint Cerf and Robert Kahn, co-inventors of TCP/IP; Ted Nelson, Jon Postel, Bob Metcalfe, Gordon Moore and many others. The Internet is more than just a story of technology, it is the culmination of collaboration between government agencies and commercial companies, innovative people and venture capitalists. The story is a fascinating one, and is very well told in this book. The amazing story of one of the world's most innovative places: Xerox PARC. The world has good reason to be grateful to PARC: the ethernet, the laser printer, the graphical interface, Smalltalk - all were invented or realised here. PARC can also be seen as an amazing fish which Xerox let slip from their grasp - we could have been talking about Xerox in the way we now talk about Microsoft, had the East coast management of this self-described Document Company had the foresight to realise what they had over on the West Coast. George Pake, the first director of PARC, together with Jerome Elkind and Bob Taylor (managers of the Computer Science Lab) and Bill Gunning (manager of the Systems Science Lab), led PARC through the explosive years of the early 1970s. This book tells a truly amazing story of a group of amazing people. 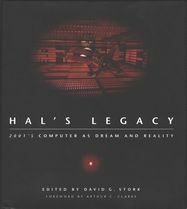 The most famous computer in cinematic history, HAL was a work of science fiction but this book examines the progress that has been made in the time since 1968 to turn this fiction into reality. According to HAL himself in the film 2001: A Space Odyssey, his birthdate was January 12, 1997. This book, published by MIT in the year of HAL's birth, considers the many facets of HAL and what progress has been made in each of them. From supercomputer design to speech synthesis, recognition and understanding, from image recognition to lip-reading, artifical intelligence and ethics, this is a quality, thought-provoking book. From the sleevenotes: "How did a simple design error cause one of the great disasters of the 1980s - the collapse of the walkways at the Kansas City Hyatt Regency Hotel? What made the graceful and innovative Tacoma Narrows Bridge twist apart in a mild wind in the 1940s? How did an oversized water lily inspire the magnificent Crystal Palace - the crowning achievement of Victorian architecture and engineering? An interesting book which shows how we can and must learn from our flaws. All does not run smooth in the world of science. Particularly when new ideas are first aired and the existing order is disturbed, sparks can fly! This entertaining book takes a look at several scientific disputes including the Catholic Church's inquisition of Galileo, Newton and Leibniz' battle over the discovery of calculus and the monumental arguments caused by Darwin's theory of evolution. The book also covers the nature versus nurture debate and the troubles caused by attempting to age the earth. Each of these are presented in readable chapters, covering the main aspects of the disputes. This is a very enjoyable book in the "Great Feuds" series. The history of Space Flight is often told either from the American or the Soviet viewpoint. This book tells it from both sides, intertwining the two to present an enthralling story which takes us from the German rockets of World War Two, through the space race of the 1960s and 1970s and to the era of co-operation between Russia and America, and the International Space Station. This story of space flight includes such renowned figures as Werner von Braun, father of the German V2 rocket and head of the American space effort, and Sergei Korolev, sentenced to a Siberian prison camp, but released to head the Soviet rocket program. This is a wonderful historical story. Although this America-centric book, telling the story of ENIAC "the world's first computer", ignores the Manchester-built Colossus, it tells the enjoyable story of John Mauchly and Presper Eckert who designed and built ENIAC. ENIAC was an immense milestone in the development of electronic computing. It occupied 1,800 square feet and weighed 30 tons, including 18,000 vacuum tubes. This book tells the tale of how ENIAC came to be. Although not instantly recognisable, the name of Charles Kingsford Smith deserves its place in aviation folklore. An international celebratory in the 1920s, this Australian aviator piloted the first flights across the Pacific in both directions, traversed the Tasman Sea and made the first successful westbound crossing of the Atlantic. This book has been written with the co-operation of his widow and family, and is a wonderfully detailed biography of an amazing man who suffered a morbid fear of the sea, yet overcame this to fly over the greatest oceans on the planet. His addiction to fame and flying led him to his great accomplishements, and the mystery of his ultimate demise in 1935. The epilogue of this book describes the author's ambitious expedition to uncover this mystery off the Burmese coast. This is the most enjoyable biography I have read. I recommend it to everyone. This is the story of the man without whom the Twentieth Century would not have taken place. A big claim, perhaps, but whilst many people believe that Edison brought electricity to the people and Marconi created the wireless radio, they may not know that it was Nikola Tesla who actually did the groundwork for these inventions. Tesla was an amazing inventor, ahead of his time. He was a man of science, not of commerce, and this became his downfall. His ideas were appropriated by others for commercial gain, and Tesla died alone and penniless in a hotel room. His story, however, deserves to be told, and this book does so in a very readable way. This is the story of one of the greatest races in Human history - the race to put a man on the moon. In 1963, a young reporter named Jim Schefter was given the job to cover America's race to the moon. He was given unprecedented access to the astronauts and major players at NASA. This is his book of those momentous years in the 1960s, culminating in the moon landing of July 1969. Schefter has written a stimulating book which describes the lives of dozens of colourful individuals involved in the Space Race, and describes the far from smooth progress of the project behind President Kennedy's promise to place a man on the moon and return him safely to earth before the decade was out. 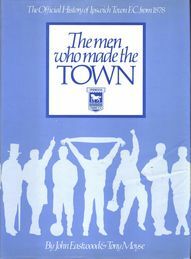 There is only one footballing history worth reading, and it is this 350 page history of Ipswich Town Football Club. The task of putting together this wonderful book was undoubtedly helped by the wonderful story behind the club. Formed in 1878 as an amateur club with all the corinthian ideals of the amateur age, it was not until 1936 that the club and the town embraced professialism. Moving quickly into the Football League and tempting the then Manchester United manager to come to East Anglia, their progress was rudely interrupted - but not slowed - by the Second World War. Only 25 years after turning professional, Ipswich were the Champions of England, half of their team having played their way out of the Third Division (South). The best days of the club were yet to come, with regular forays into Europe under the management of Bobby Robson, the second of two managers Ipswich has provided to lead the Nation's team. The book contains a wonderful season-by-season narrative which reveals not only great details about the club and the people who moved it forward, but also paints a wider footballing picture as well as setting it all in the social context of the day. The statistical records are amazing, with every line up since 1878 provided, meaning this book has become a reference work for historians and statisticians alike. For me, as a lifelong Ipswich supporter with a love of numbers, this book hits the mark on both counts! A small book with a huge meaning. Penned in 1938 it brought the very real horrors of the Nazi persecution of the Jews to a wider audience. Written as a series of letters between Germany and the USA, it chillingly brings the insidious horrors of Nazism to life. A bestseller in many countries around the world, and banned in Nazi Germany when it was published, this book takes a little time to read, but a long time to forget. A beautiful book, available in many forms, which distils the lessons of life into a few simple sentences. The title explains all: the lessons we are taught while we are young stay with us throughout our lives, are free from idealogy, religion or politics. They are humanist in nature, and applicable to all. Who could disagree with this: Play Fair - Don't Hit People - Clean Up Your Own Mess - Don't Take Things That Aren't Yours? This book is a wonderful collection of thoughts about what exactly it is that has made Britain the place it is. Many leading figures of our time look at events, achievements and and ideas that have helped to shape what it means to be British. Included are key events such as the defeat of the Spanish Armada, the Industrial Revolution, the Battle of Trafalgar and the Battle of Britain. Closer to home are the pub, the red telephone box, fish and chips, village cricket and whisky. There are literary entries such as Chaucer's Canterbury Tales, the plays of William Shakespeare, the Oxford English Dictionary and simply, the English Language. 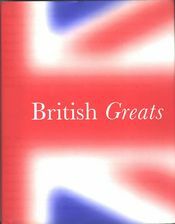 Add to this such diverse entries as the National Health Service, the abolition of the slave trade, an obsession with the weather, British humour, Darwin's Origin of the Species, Robin Hood, Punk, the London taxi, the Magna Carta, the British Bobby and trial by jury and you have a glorious summary of the Best of British! From the sleevenotes: "Jim Corbett's adventurous and insightful stories of man-eaters have made him a legend in India. Not only have his books established themselves as classics but almost constitute a separate literary category by themselves." This omnibus contains three of his books. A second omnibus contains a further three books. Jim Corbett lived and worked in Northern India and had a deep sympathy and concern for the people of rural India, for their traditions and their folklore. Far from being a hunter for the sake of gathering trophies, Corbett came to the aid of villagers whose lives were turned upside down when tigers and leopards turned to humans as their prey. To begin to read one of his stories is to be drawn into an amazing journey into the Jungles of Northern India. His style of writing is poignant and evocative. I first read his books whilst in India myself, and they became my constant companions. I lived in New York in 1994, and this informative and educational book quickly became required reading, enabling me to understand America in ways I couldn't before. It lives up to its tagline, "Everything you need to know about American History but never learned." Organised into eight chapters, each covering a period in America's history, the book works successfully as a series of questions and answers, such as "Did the Pilgrims really land at Plymouth Rock? ", "Why was there a war with Mexico? ", "Why did the South secede from the United States? ", "Who was Jim Crow? ", "How did a dead archduke in Sarajevo get America into a World War? ", "What was Lend-Lease? ", "What was Brown vs Board of Education? ", "Did Mississippi Burning really happen?" and "Why was Ronald Reagan called the Teflon President?" For anybody wishing to take an easy-to-read primer on American history, this book is a must! It was back in the mid-1970s when I was first introduced to the ugly, rude, stupid and lazy bottersnikes and the sweet, hard-working gumbles! Gumbles are hopeless when they go all giggly, which the bottersnikes often used to their advantage. Also useful, if you're a lazy bottersnike is the fact that gumbles can be squeezed into almost any shape without hurting them and they can't get back into their proper shape without help. This short book contains eight little episodes, all of which provide light humour and - unbeknownst to me when I was a child - the moral that laziness gets you nowhere and teamwork can get you out of a scrape! The books may be out of print, but the fan's page is still going strong. I first met Hermann and Candelaria Zapp, and their young child, when visiting Yosemite National Park in California in June 2003. Coming around the corner in their 1928 Graham Paige, they were an amazing sight! They were happy to stop, even thought they hadn't yet arranged anywhere to stay for the night, and to describe the amazing story of their travels from far-away Buenos Aires to the USA and thence on to Anchorage in Alaska - Tres Americas, the three Americas. To raise money along the way after their funds had run out, they had written and produced this wonderful book. Containing chapters titles such as Listen to yourself, Don't look for excuses and Stop believing that your dreams are only dreams, they recount instances from their travels that illustrate and emphasise these words of wisdom. This is a beautiful book, with an uplifting message and the true story (and photographs) of a couple making their dream come true. It is an inspiration to us all. It was back in the 1980s when I was lent a book all about the delightful priest Don Camillo and his daily trials with his village people, not least the local mayor, Peppone. Already out of print, this series of books deserve to be in print, to allow these stories to reach a wider audience. As the author explains, "If there is a priest anywhere who feels offended by my treatment of Don Camillo, he is welcome to break the biggest candle available over my head. And if there is a Communist who feels offended by Peppone, he is welcome to break a hammer and sickle on my back. But is there is anyone who is offended by the conversations of Christ, I can't help it; for the one who speaks in this story is not Christ, by my Christ - that is, the voice of my conscience." Each of the two dozen or so tales in this book (and this is just one of several books in the series) describes in gentle words an episode in the life of Don Camillo, and tells stories by which we can all live our lives. This is a comprehensive 600-page book that details the history of South Africa from 1488 and the first encounter between Europeans and the Khoikhoi, the peoples of what is now known as South Africa. It has had a tumultuous history since that time, and this is a definitive record of that history. I have a strong affection for South Africa, and this book was an educational pleasure to read. It is not an easy read, but is very rewarding. Kahlil Gibran's most mystical and powerful work has been translated into more than twenty languages. I first read his words in 1987, and they have stayed with me ever since. This paperback version is illustrated with his own drawings. This work contains many beautiful words. "Upon a day Beauty and Ugliness met on the shores of a sea. And they said to one another, "Let us bathe in the sea." Then they disrobed and swam in the waters. And after a while Ugliness came back to shore and garmented himself with the garments of Beauty and walked his way. And Beauty too came out of the sea, and found not her raiment, and she was too shy to be naked, therefore she dressed herself with the raiment of Ugliness. And Beauty walked her way. And to this very day men and women mistake the one for the other. Yet some there are who have beheld the face of Beauty, and they know her notwithstanding her garments. And some there be who know the face of Ugliness, and the cloth conceals him not from their eyes." A must read for every Indian, and an impressive story for anybody. This book recounts, in great detail, the year leading up to India's independence from Britain in August 1948. Drawing on interviews with the last Viceroy of India, Louis Mountbatten, amongst others the book paints a wonderfully vivid picture not only of the independence of a nation, but the birth of another: Pakistan. I bought this book whilst working and travelling through India, and it helped me to make sense of the special country through which I was moving. In the late summer of 2002, I was preparing another European adventure following Ipswich Town. A friend had recommended this book the previous year, when I had gone to Russia. Now, in 2002, I was getting ready to go to Serbia, and decided to read this first-hand account of a modern British adventurer, Fitzroy Maclean. His story is an amazing one: he was posted as a young diplomat to the Soviet Union before WWII, travelling around Central Asia against the wishes of his superiors and his hosts, and during the war he became Churchill's personal representative in the Balkans as he assisted Tito in the partisans' fight against the occupying German forces. He later served as an MP for thirty years, a relatively peaceful occupation considering what had gone before. 500 pages of a gripping account of the adventurous part of his life, this book leaves you feeling as though you were there, accompanying him in his adventures!